Below is a record of BachWerk’s past concerts. 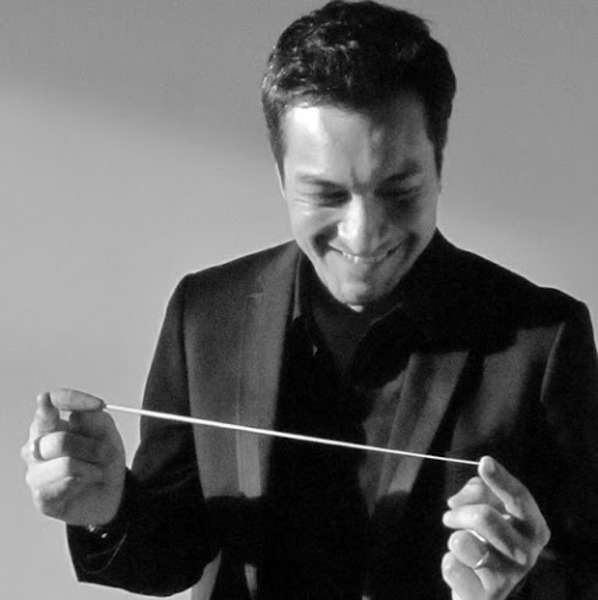 To find out about forthcoming concerts, click here. 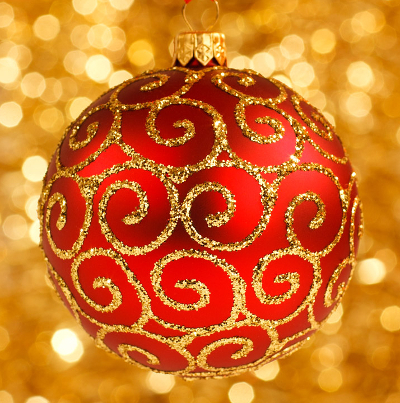 BachWerk performs the wonderful seasonal highlight, the Christmas Oratorio by J. S. Bach. 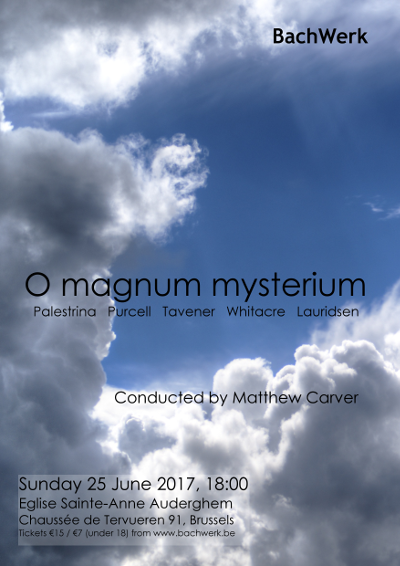 Following last year’s emphasis on the first three cantatas, this year’s concert pays particular attention to the latter cantatas. 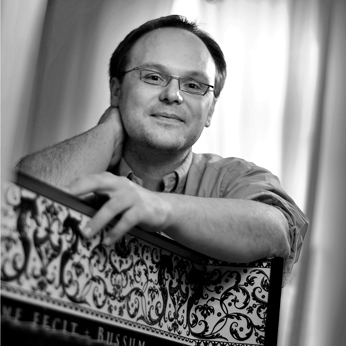 BachWerk takes a musical journey starting with German early romanticism via French impressionism and Greek tradition to English contemporary and jazz. The choir will perform Brahms’ Liebeslieder (op. 52), Fauré and Hatzidakis. 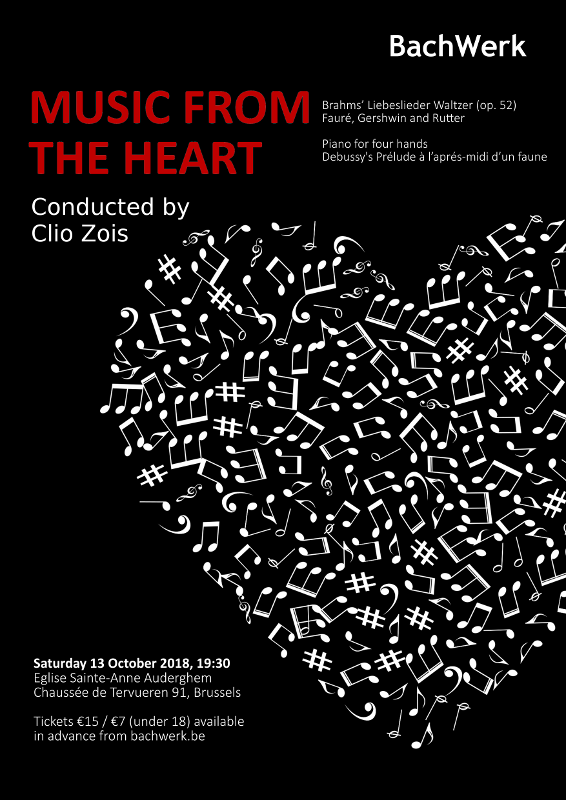 And the concert will also include piano for four hands with Schumann’s wonderful Bilder Aus Osten and Prélude à l’aprés-midi d’un faune by Debussy. Last minute tickets are available to buy at the door before the concert starts. To celebrate BachWerk’s 5th birthday, an afternoon of light musical entertainment from our singers and players together with (alcoholic and non alcoholic) drinks and light snacks. Recommended attire: Cocktail / Black-tie. Around 1860 an ensemble of Belgian musicians founded ‘The Party’ to perform great works of classical music in a small format. In recent years, Hendrickje van Kerckhove, Bart Rodyns, Eliot Lawson and Lode Leire have brought ‘The Party’ back to life. 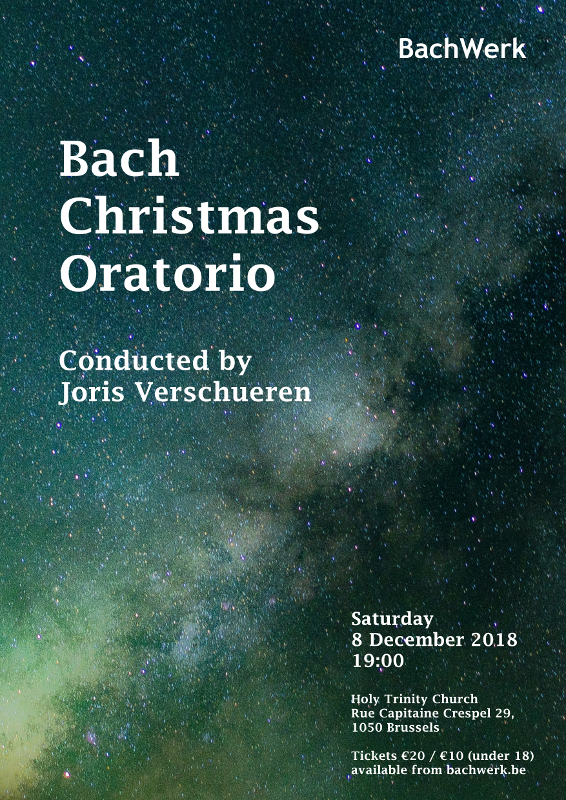 For this concert, Bach-specialist, Bart Rodyns, has arranged arias and chorals from Bach’s Mattheus Passion for a small ensemble of players and BachWerk singers. Tickets €16-€18 / €15 (under 18). 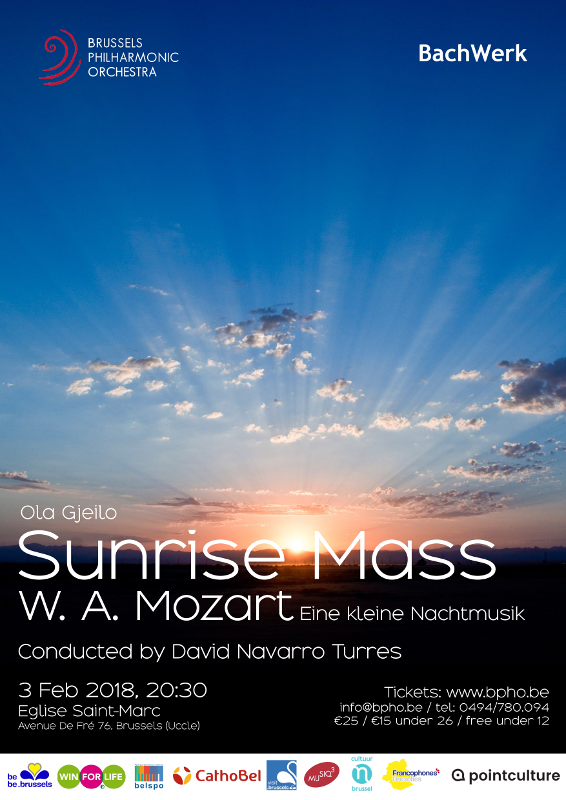 The great work of Norwegian composer Ola Gjeilo “Sunrise: Symphonic Mass” has been hailed as one of the most beautiful pieces of contemporary classical music. His music is harmonious and evocative. Before dawn, what’s more natural than the night, and Mozart’s Eine kleine Nachtmusik will delight you. Tickets €25 / €15 under 26 / free under 12. 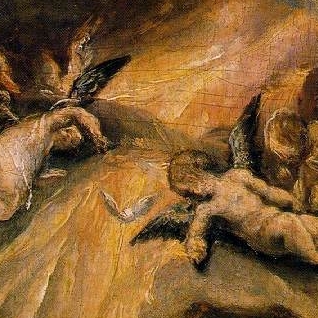 The Christmas Oratorio tells the story through incredibly expressive and beautiful music. 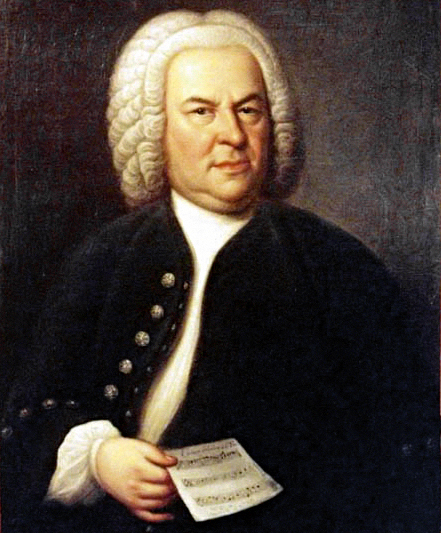 One of Bach’s masterpieces, it was first performed in 1734 in Leipzig. Four soloists, full orchestra and choir performing in the stunning surroundings of Eglise des Dominicains under the baton of Joris Verschueren. Music from the Renaissance through to contemporary classical music by Morten Lauridsen. 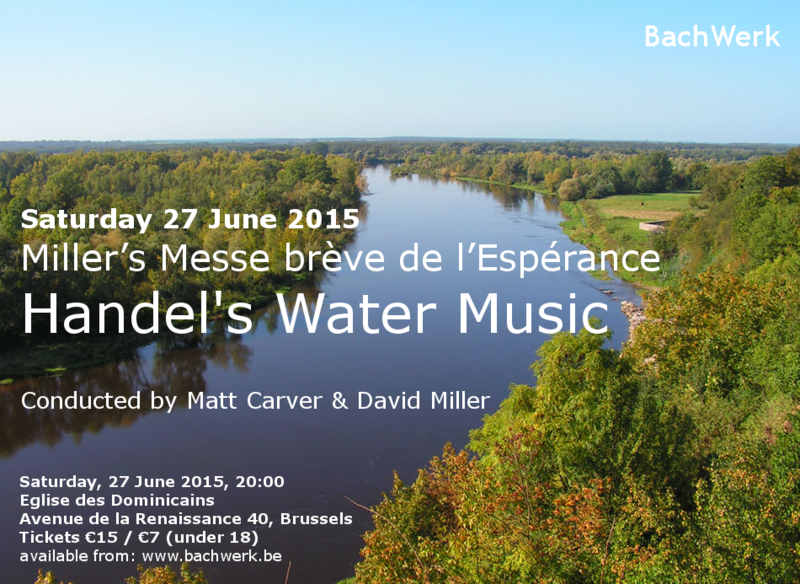 Brussels choir, BachWerk, is on tour and will be performing in Salzburg, Austria. Working with the Mozarteum University and soprano soloist, Donata Meyer-Kranixfeld. Music from the Renaissance: Giovanni Pierluigi da Palestrina, Heinrich Schütz and Henry Purcell to contemporary classical music by John Tavener, Eric Whitacre and Morten Lauridsen. 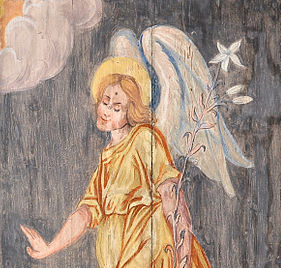 An exploration of polyphonic choral music from the renaissance and modern periods. Encompassing a broad musical sweep from the 13th to the 21st Century, this programme includes works sacred and secular from the highest masters of their art, highlighting the versatility of the human voice as an instrument of expression and devotion. Tickets are available to buy at the entrance on Saturday evening. 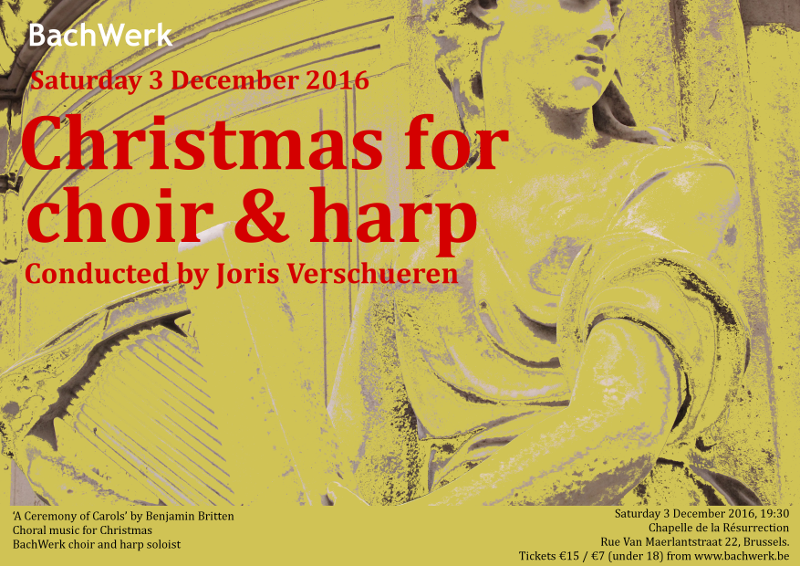 BachWerk will perform the hauntingly beautiful and joyful ‘A Ceremony of Carols’ by Benjamin Britten for choir and harp soloist. 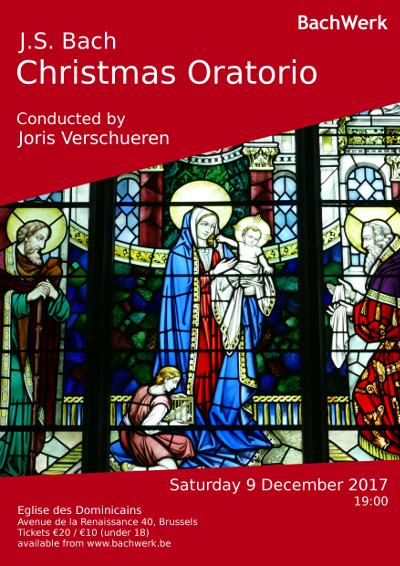 We will be conducted by Flemish counter tenor soloist and choral master, Joris Verschueren. Rue Van Maerlantstraat 22, Brussels. Tickets are available to buy on the door on Saturday evening. 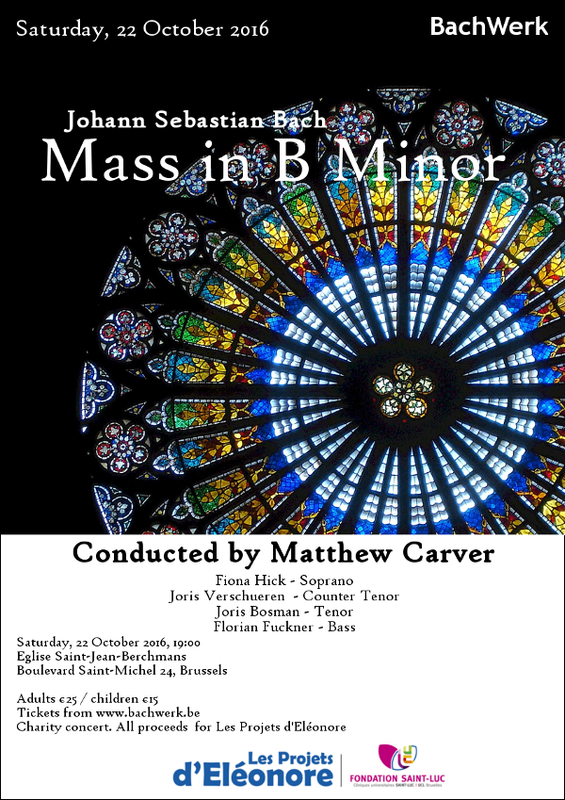 BachWerk’s choir and orchestra will perform Bach’s masterpiece, the Mass in B Minor on 22 October. One of Bach’s last compositions, this extraordinary piece of music is truly beautiful. BachWerk is proud to support Les Projets d’Eléonore. Les Projets d’Eléonore was set up in memory of the 10-year-old daughter of one of our singers who died in a tragic accident. Eléonore wanted to help others and that spirit lives on through the charity. 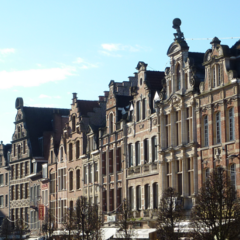 The association is part of the Saint Luc Foundation and raises funds through various sports activities, cultural and social events to help improve the care and quality of life of children in Saint Luc’s hospital in Brussels. 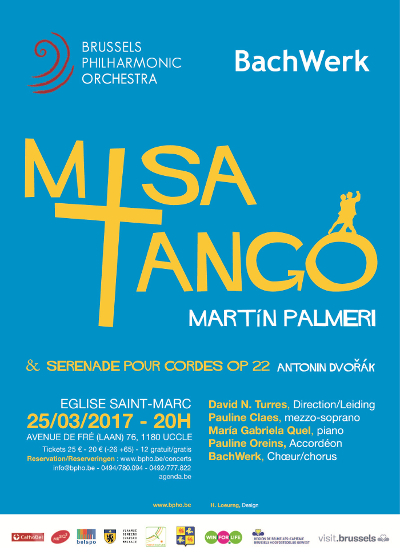 All profits from this concert will be donated to Les Projets d’Eléonore. 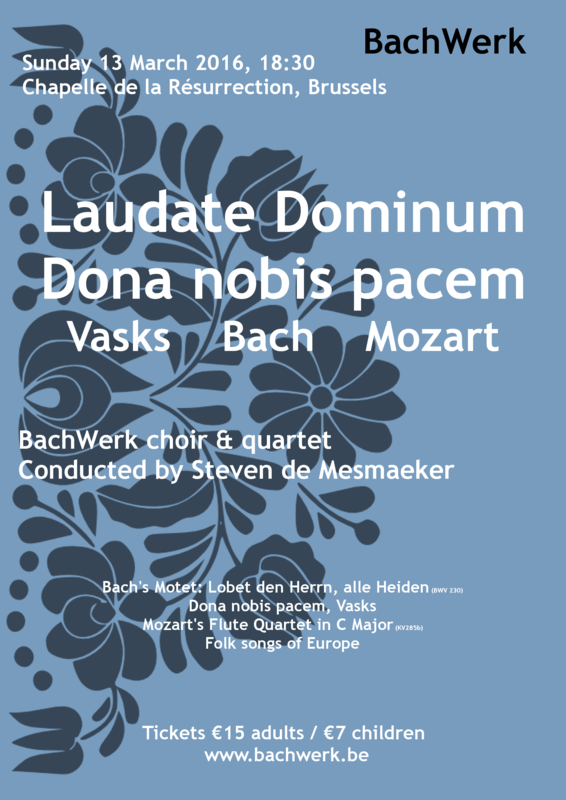 BachWerk’s choir performs Bach’s choral motet “Lobet den Herrn, alle Heiden” (BWV 230), Dona nobis pacem by Peteris Vasks, and a selection of classical folk songs from across Europe. 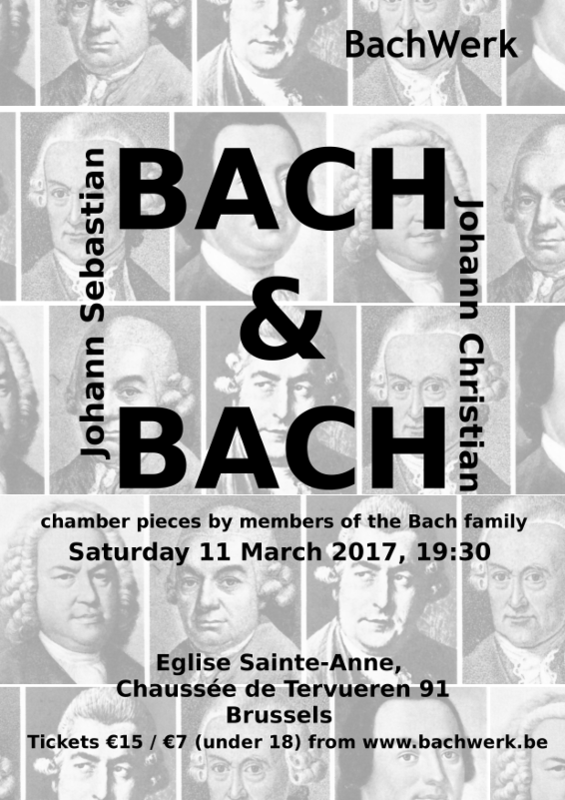 We are also joined by a quartet of BachWerk players who will perform Mozart’s quartet in C for flute, violin, viola and cello (KV285b). 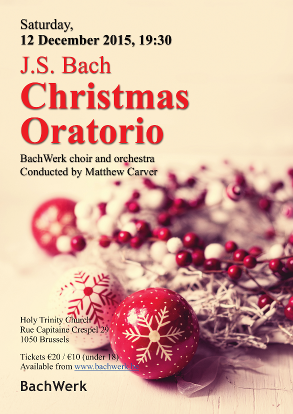 BachWerk returns to the seminal Christmas Oratorio by Johann Sebastian Bach for the start of the festive season. 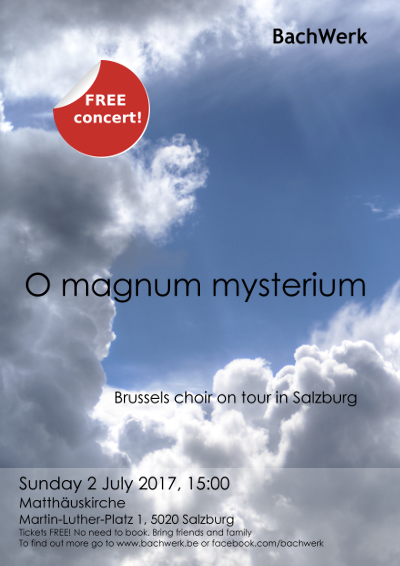 As is traditional in Germany, we will concentrate on cantatas 1, 2, 3 and 6 for this year’s performance in Holy Trinity church. Rue Capitaine Crespel 29, 1050 Brussels. The Requiem Mass in D minor by Wolfgang Amadeus Mozart was composed in Vienna in 1791 and left unfinished at the composer’s death in December of the same year. The task of completing the work was given to Joseph Eybler and Franz Xaver Süßmayr. BachWerk singers will take part in an evening of celebration for past students of Mount Holyoke College. 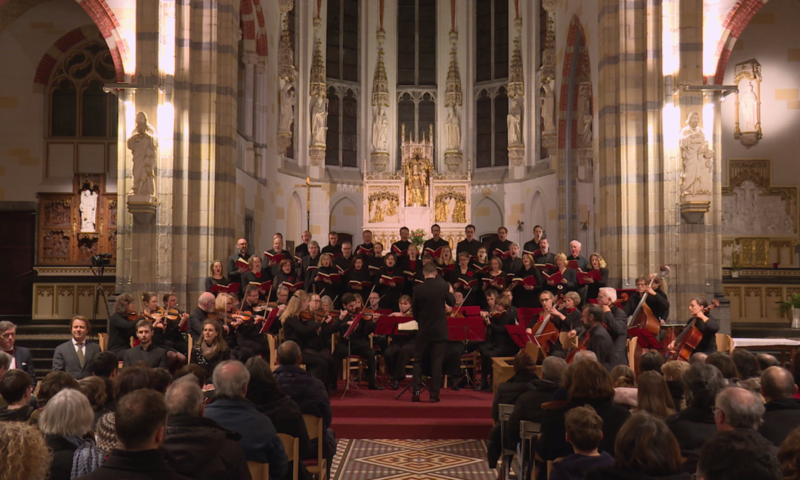 Commissioned by Alain Arnould of the Brussels Dominican order, David Miller’s messe brève has been performed during church mass in Namur and in Brussels. This will be the first time the piece is heard in concert, and in its entirety. And conducted by the composer. 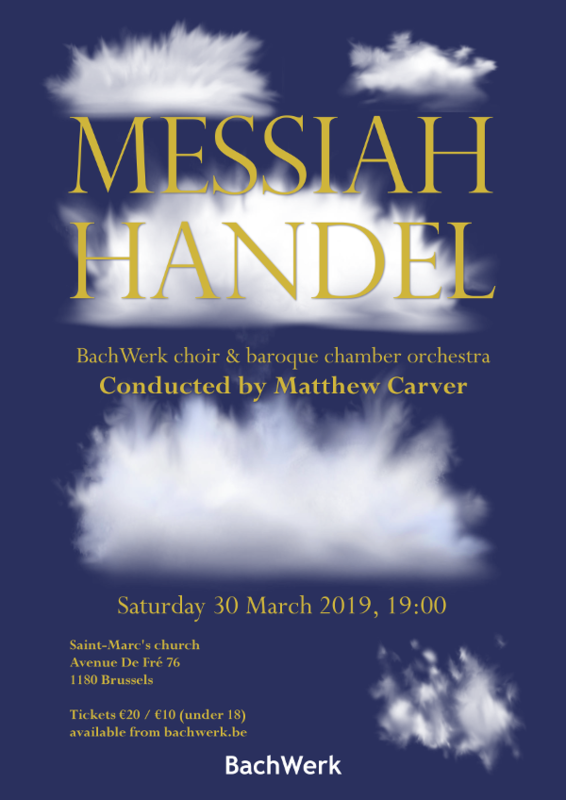 BachWerk’s orchestra will perform Peter Warlock’s Capriol Suite, a set of dances in renaissance style; and George Frideric Handel’s elegant Water Music which was first performed at a concert on the river Thames in London for King George I.